Music enriches our community life! We invite anyone who wishes to participate in the choir opportunities listed below to simply join in, or contact the director for more information. Would you like to offer instrumental music in our worship? Our pianist, Joan Christensen, coordinates the music for our Table of Mercy worship setting (usually the second Sunday of the month) and would welcome your instrumental talents! Please contact Joan at jerjoanchriste@hotmail.com. The adult choir sings most Sundays in our 10:30 worship. 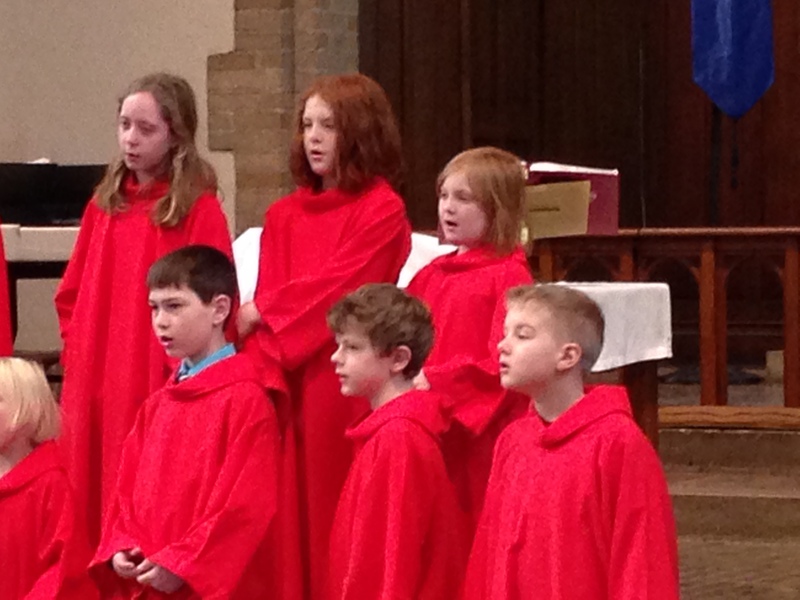 Robes are worn for festival Sunday worship services. The Adult Choir is open to anyone who wishes to sing! Rehearsals are Sundays 9:20-10:15 am, September–May, with an extra rehearsal on the third Saturday of each month from 9am-11am. 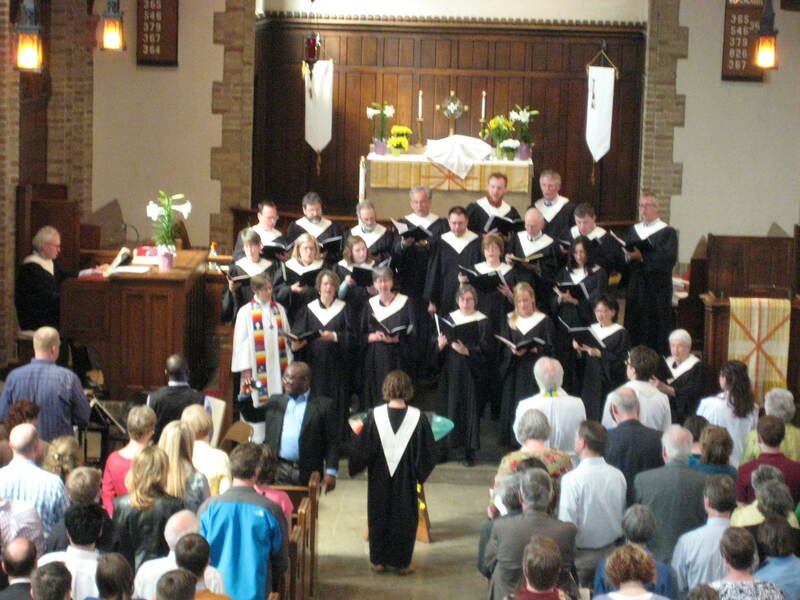 We sing a variety of music from Christian tradition, old and new. Want to join? If you’re interested in joining the adult choir, talk to a current choir member (plainly visible during the anthem) or to Stephen Self, Organist and Choir Director (music@graceattheu.org). For ages middle school through adult. This group visits people facing difficult times, offering hymns and simple songs of comfort and healing. More information here. 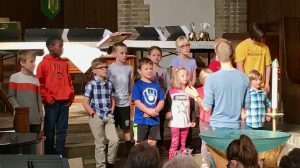 Grace University Lutheran Church’s composer residency program creates a valuable partnership with the University of Minnesota School of Music. Grace’s residency employs a graduate student in music composition from the University to create several new works that are premiered in the church’s worship services throughout the academic year. We are pleased to have a new resident composer at Grace for 2017-18, Zach Pentecost. Eric Brook, a M.M. student at the University, served as the church’s first resident composer. He created a work for brass and organ that was premiered on Reformation Sunday and a choral setting of “O Magnum Mysterium” that was premiered during the Epiphany season. His other two projects include a work for piano trio based on the passion hymn “Ah, Holy Jesus” for Palm Sunday, and a work for combined adult and youth choirs that was presented in May. At the conclusion of the residency, the church presented a recital of Brook’s works that included works from the residency year as well as other works from his catalog. In 2007 the selection process began with a brief presentation by Stephen Self, the organist/choir director at Grace, to the composition students from the University. Students who were interested in being considered submitted a résumé and two representative works. Each student was interviewed in person. The final decision was made in consultation with the composition faculty from the University. The residency has been highly successful in every respect. Eric Brook has commented frequently that it has been a very valuable learning experience for him. The ensembles for which works have been composed have grown musically and in their appreciation for new music. The congregation has been reminded that new music appropriate to both worship and the concert hall is still being created and can still have the depth associated with treasured worship repertoire. The church has also been reminded that part of our mission is to serve and strengthen ties with the University’s constituencies. And the University has taken note of the openness of Grace church to nurture young and promising composers. If you are interested in more information about the residency, please e-mail Stephen Self at music@graceattheu.org.